Doesn’t This Just Make Your Day or What! 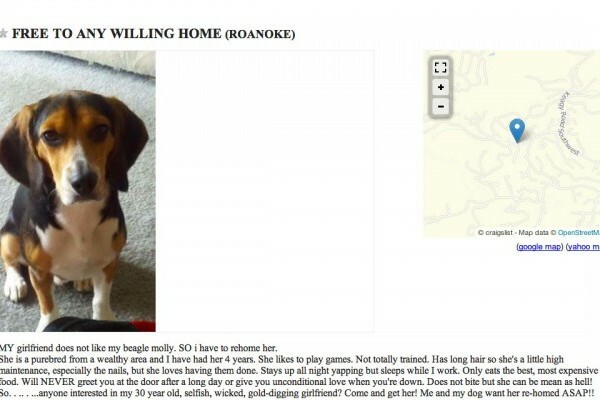 A seemingly happy Virginia couple began to have difficulties when the man’s girlfriend decided that she no longer wanted to compete with her partner’s dog for attention. Apparently she had decided that the dog was at fault and issued an ultimatum to her boyfriend to , “Get Rid of the Dog.” What she didn’t anticipate was be the response from her boyfriend. Here’s how the story unfolded when his girlfriend disapproved of keeping his beloved dog. This is EPIC! When the girl he’d been dating gave him an ultimatum, this man did the unthinkable. He found himself unable to live without her, so without hesitation, he posted an ad on Craigslist. I’m not surprised to find that the ad has gone viral. The nature of his post might shock you. But it simply made my day! This is BRILLIANT! 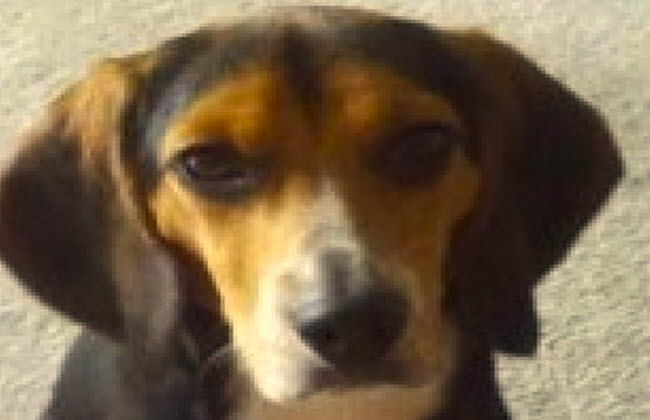 MY girlfriend does not like my beagle molly. SO I have to re-home her. She is a purebred from a wealthy area and I have had her 4 years. She likes to play games. Not totally trained. Has long hair so she’s a little high maintenance, especially the nails, but she loves having them done. Stays up all night yapping but sleeps while I work. Only eats the best, most expensive food. Will NEVER greet you at the door after a long day or give you unconditional love when you’re down. Does not bite but she can be mean as hell! So. . .. . …anyone interested in my 30 year old, selfish, wicked, gold-digging girlfriend? Come and get her! Me and my dog want her re-homed ASAP!! Didn’t that just make your day or what! Adopting a dog is a commitment, I’m so glad this man understands the great responsibility that comes with owning a dog.